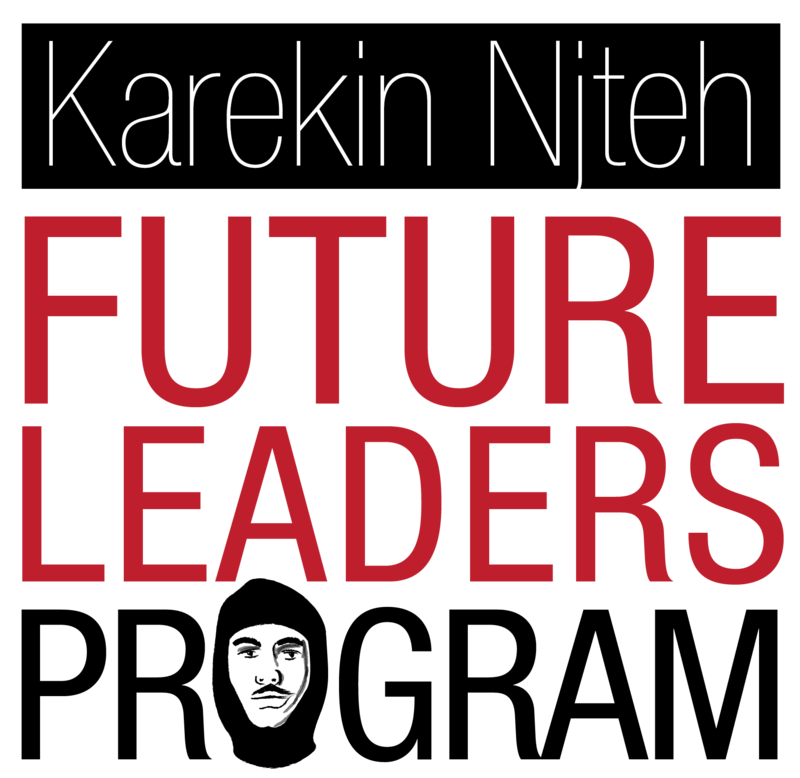 The ‘Karekin Njteh’ Future Leaders Program is a comprehensive internship aimed at giving students the opportunity to gain experience in the fields of public administration and public relations, while learning about strategic planning, human resource management, program development, social media advertising, and political activism. “Through this internship program, the AYF is giving Armenian youth the opportunity to learn things that will give them a definite edge in their upcoming professional careers,” says internship coordinator, Shant Meguerditchian. Ideal candidates are outstanding high school or college students with a strong interest in social issues, excellent research skills, and the ability to complete assignments in a timely manner. During the 8-week long internship, participants are given an inside look at the AYF, gaining experience in working for a non-profit organization, leading projects, and compiling research. Interns also partake in a lecture series, unique outings, and various career building workshops. Interns will also be assigned a personally-tailored final project which they will present at a closing ceremony at the conclusion of their internship. The final project is designed around the interns’ career goals, with the intent of helping advance the Armenian Cause. 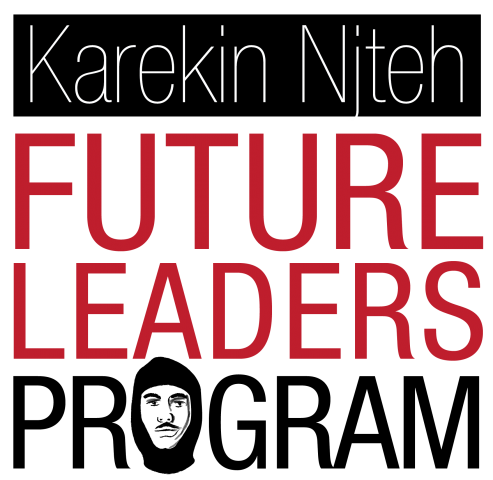 Participants of the Future Leaders Program will not only gain leadership skills, but they will also expand their network, boost their resume, and receive a certificate of completion. Interested students should email their completed application form to ayf@ayfwest.org by April 1st. On February 25, University of California, Irvine (UCI) Azerbaijani Student Association (AzSA) held a screening of the documentary “Azerbaijan through Foreign Eyes” by Thomas Goltz, a war correspondent and professor at Montana State University. The event included three speakers; a personal story by a member of the UCI AzSA, Rafiga Gurbanzade, a brief overview of the Karabakh conflict by the general director of the Azerbaijani-American Council, Javid Huseynov, and a video presentation by Thomas Goltz. The majority who attended were students of Azeri, Turkish, and Armenian background, as well as members of each community. Following Ms. Gurbanzade, a presentation by Javid Huseynov explained how Armenian and Russian forces attacked Khojaly on February 25 and 26 killing 613 Azeri citizens, which included 60 children and 106 women. He stated that it began in 1988 around the time of the collapse of the Soviet Union. Before 1988, Armenians populated 78% of Karabakh. Huseynov exclaimed that both Armenia and its allies gave the land of Karabakh to Azerbaijan in 1919 giving reason as to why the lands “should be within Azerbaijan”. However, this wasn’t the case. Under Bolshevik control they promised that Karabakh would return to Armenia. This promise wasn’t kept and the decision to give Karabakh to Soviet Azerbaijan had been made by Stalin, Turkey, and the Bolsheviks. The people of Karabakh experienced many hardships and prejudice under Azeri rule in the years to come. Huseynov later established that he did not care who was liable for the massacre so long as justice is served. In attempt to label the events in Khojaly as “ethnic cleansing”, Huseynov presented the cherished and overly-prized book about Monte Melkonian, “My Brothers Road”, and a President Serzh Sargsyan quote regarding the events in Khojaly. These two references were expected to be enough evidence for the claims of ethnic cleansing by Armenian forces. When looking at factual information we can assume that the Armenians warned the inhabitants of Khojaly that they were going to enter and that a corridor had been provided for them to flee. It is proven through accounts by Azeri refugees that Azerbaijani soldiers were camping in Khojaly and that they didn’t allow the citizens of Khojaly to leave through the corridor in order to reach safety, putting their citizens in harm’s way. No evidence shows that the government had issued an order to kill the citizens of Khojaly. How, then, do the Azeris blame the killings in Khojaly on Kharabakh Forces? Mr. Goltz then shared his experiences as a witness and reporter who brought the news of the Khojaly Massacre to the U.S. media. He then proceeded to present his short documentary film featuring interviews with Western journalists, experts and witnesses about the Khojaly tragedy. Mr. Goltz was in fact not a witness of the events in Khojaly and his documentary “Azerbaijan through Foreign Eyes” proved that there were no eye-witnesses of these events. The reporters claimed they went into Khojaly, claimed they were eye-witnesses, and then told viewers they left Khojaly the day before the incident. The one thing the video did have was a clear depiction of was how the Azerbaijani government didn’t tend to refugees living in the areas near the border. During the question and answer period, frustration arose from the questioners as Mr. Goltz failed to correctly and sufficiently answer the questions posed and instead put on a charade. A student questioned how Mr. Goltz believed “tolerance is embedded in Azeri culture”, referring to a direct line from his documentary, in light of recent occurrences such as the national celebration and praise of an ax-murderer’s return to Azerbaijan and the bounty placed on an author’s ear by a major, pro-government, political party in Azerbaijan. Mr. Goltz responded by reading a pre-prepared, literary quote that had no relevance to the question, skirting around the issue, leaving the student’s question unanswered. Seeming as though Mr. Goltz was flustered by the simple questions raised, Huseynov had to answer on his behalf while Mr. Goltz sat down, leaving those who attended confused on why the guest speaker was not capable of answering simple questions in regards to Khojaly, himself. I can assure you that Mr. Goltz lost his credibility by the end of the night. 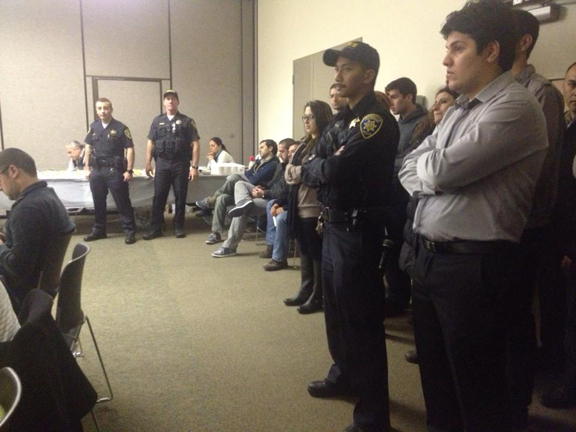 The AzSA had requested police officers to stand in on the event, though none of the students or community members present posed any harm. 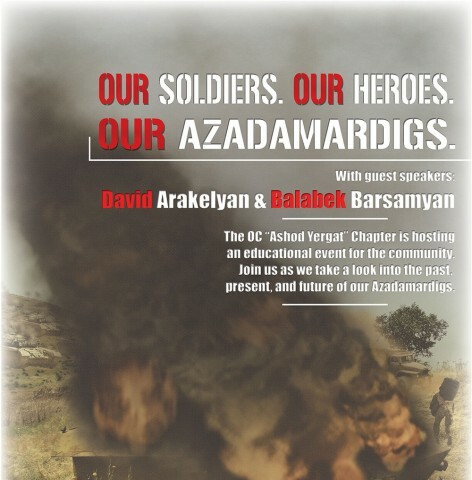 This past year, AYF has marked 2012 to be the official year of the Azadamardig. The Year of the Azadamardig became a campaign known as “With our Soldiers”; this campaign was made to assist veterans of the Artsakh War with necessary medical treatments. Veterans have received treatment that included eye prosthetics and hearing aids, as well as surgeries in order to remove shrapnel that still remain in their bodies years after the war. The Armenian Youth Federation Orange County “Ashod Yergat” chapter has been working diligently to promote the campaign with an event of their own. On Sunday, March 3rd, the chapter will be having an Azadamardig event that will include special guest speakers, articles about the campaign, photographs, and articles about the veterans before and after their treatment. Admission to the event will be $10 and take place at the Orange County Armenian Center starting at 6:30 PM. Please come and take part in this event. Be a part of this cause so that we may keep the torch of our nation, and our nation’s future lit! Our soldiers and their families have contributed greatly to do so, and now it is our turn to contribute to them.